With this year’s festive season approaching, everyone is in a celebratory mood. The luxury hotels of Dorchester Collection are no exception, drawing upon Christmas wishes and New Year’s dreams to create a wealth of activities, occasions, offers and events to mark the season in style. 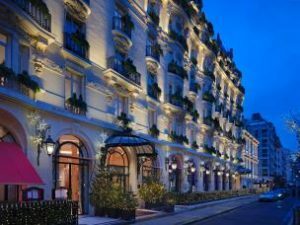 Hôtel Plaza Athénée in the heart of Paris is one step ahead of festive decorations with its signature red gleaming throughout the year. The season will bring even more brilliance to dazzle eyes and imaginations as the hotel joins the fight against cancer with the 23rd edition of Sapins de Noel de Créateurs, a unique exhibition of Christmas trees created by some of the biggest names in fashion, design and architecture. The well-dressed trees will be on display from November 16-20 and sold at a gala dinner auction to benefit cancer research. Meanwhile, young guests ages 4 to 12 will be invited to lace up a pair of skates and slip and slide into family fun on the hotel’s famous ice rink in La Cour Jardin which will be installed in time for Thanksgiving. Enjoy rich holiday traditions in a cosy and refined atmosphere at Hotel Principe di Savoia in Milan. 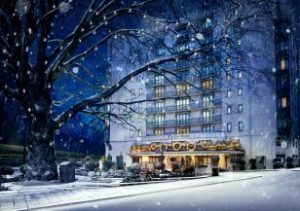 Decorated for the season, the hotel will offer a luxurious Italian getaway with guest rooms set up in a festive theme and a welcome gift waiting for children. A handmade Acqua di Parma tree will showcase Italian craftsmanship at its finest with braided willow balls and iconic Acqua di Parma colors of yellow and white in the hotel lobby, while an Acqua di Parma pop-up retail space will be raising money for Dynamo Camp to support children. Guests will be invited to make contributions to the charity and offered a small gift post-purchase. Hotel Eden, the superb Roman luxury hotel will welcome and embrace its guests with beautiful festive decorations that emphasize its timeless charm. The theme of lightness will be celebrated with a special Christmas tree designed by Chez Dédé, evoking “the lost paradise” through decorations so whimsical and light they become impalpable. Founded by Andrea Ferolla and Daria Reina, Chez Dédé is an independent brand offering exclusive collections of accessories, fashion, home decor and jewels. Italian craftsmanship will be showcased throughout the Christmas season as guests will be greeted by this magical atmosphere while walking through the hotel’s magnificent lobby or savoring a traditional afternoon tea with an Italian and festive twist. The festive season sees a return of The Dorchester’s renowned floral displays, decadent dining options, and a luxurious accommodation offer that you won’t want to miss. 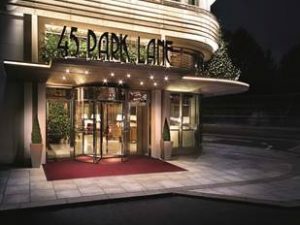 Guests will get right into the spirit of the season with a towering 14-foot British Christmas Tree dotted with exclusive hand-blown and -painted The Dorchester Doorman baubles at the entrance to The Promenade, as well as the opportunity to dress up their rooms with wreaths and trees decorated with everything from candy canes for the kids to the color scheme of their suite. (Wreaths from £100, trees from £350. The Dorchester Doorman baubles from £65). From November 12, The Dorchester will welcome a three month pop-up by iconic British luxury house, Asprey. The Asprey boutique will showcase handbags, jewellery, homeware and gifts, with guests of the hotel receiving complimentary embossing and engraving throughout the residency. 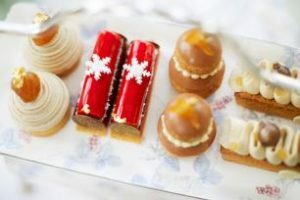 Make sure you arrive hungry – and thirsty – to the heart of Mayfair to enjoy a wealth of dining options through the season including Festive Champagne Afternoon Tea (£85 per person) and Christmas Carol Afternoon Tea (£95 per person) at The Promenade featuring delectable pastries created by newly appointed executive pastry chef Sarah Barber. The elegant and contemporary Mayfair hotel 45 Park Lane will be shining like never before this festive season with a 12-foot-high bronze Christmas tree hung with bronze fir cones commissioned from sculptor Jill Berelowitz. Scheduled to be unveiled on Sunday, November 25, and to return for future festive seasons, the sculpture will be molded and cast by Berelowitz to replicate a spruce, while the life-size fir cones are cast by hand in yellow and white bronze and hung on branches with a silk velvet ribbon. The tree will be topped with two figures holding a golden star with outstretched arms for a seasonal symbol of excitement and celebration. Meanwhile, guests spending Christmas night at 45 Park Lane will be gifted a bronze fir cone as a keepsake. The fir cones will also be available to purchase. Berelowitz, who is best known for works such as the 5.5-metre Mind’s Eye Tree created to mark the 400thanniversary of Shakespeare’s death at New Place in Stratford-upon-Avon, and Diving Girl installed at the entrance to the Olympic Village for the London 2012 Summer Olympics, will also exhibit a newly created body of work. This exhibit at 45 Park Lane, titled ‘Osmosis’, highlights themes of positivity and regeneration and runs through February 1, 2019. 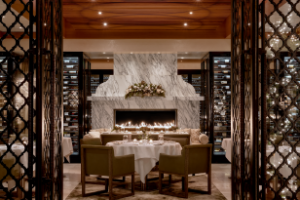 Before you celebrate Christmas, enjoy a Thanksgiving Day celebration to remember at CUT at 45 Park Lane. Start with Thanksgiving CUTcakes & Tea (£55 per person), and follow with a dinner menu (£110 per person) of traditional holiday fare, including the most popular holiday staple presented with a signature, contemporary twist: pumpkin cheesecake with crushed oats and candied ginger ice cream, and pecan pie served with ‘10’ year chocolate sauce and maple ice cream. At Coworth Park, the luxury country house hotel bordering on Windsor Great Park, just 45 minutes from London, Christmas Eve will be a bubbly affair with guests enjoying a welcome bottle of Laurent-Perrier Champagne and a Festive Champagne Afternoon Tea including a live choir in the Drawing Room. On Christmas Day, a visit from Father Christmas will get the fun started for the whole family. For resident guests, the festive include a chocolate masterclass. So many holidays, so much to enjoy! Gather friends and family for the festive season at The Beverly Hills Hotel with Thanksgiving Day Brunch, Christmas Eve Dinner, and Christmas Day Brunch at the Polo Lounge. The deservedly legendary restaurant and bar – called “one of Hollywood’s longest running hits” by the Los Angeles Times – will also be the scene of L.A.’s splashiest New Year’s Eve celebration, with two seatings, live music and a champagne toast at midnight. Whatever the occasion, the merry mixologist of the “Pink Palace” will be fashioning a holiday drinks menu featuring classic and inventive new cocktails, including spiced mulled wine and spiked eggnog, available at the Polo Lounge and Bar Nineteen12 through the season. The hotel’s merry mixologists have created a holiday menu featuring traditional classics and inventive new cocktails. 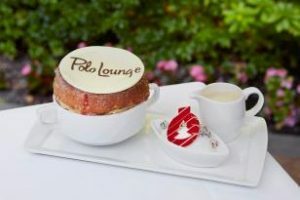 The mulled wine is spiced, the eggnog is spiked, and the spirited selections are offered in The Polo Lounge and Bar Nineteen12 throughout the season. Also, enjoy 12 days of festive treats from the hotel’s executive pastry team, who will be unveiling a new and delicious Seasonal Soufflé daily inspired by festive season flavors, such as pumpkin spice, eggnog and candy cane. The festive dessert menu runs December 12-23, 2018. The festive season will be filled with sweet memories at Hotel Bel-Air in Los Angeles as executive pastry chef Tiffany Pascua leads fun-filled Holiday Kids and Adults Cooking Classes at Wolfgang Puck at Hotel Bel-Air. The hotel will provide everything needed from decorative sweets to royal icing for participants to craft their own cookies and gingerbread house. 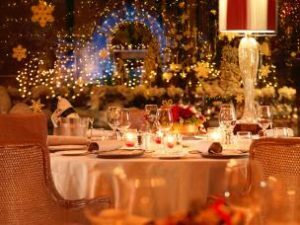 The restaurant kitchen will also offer a lengthy menu of festive meals throughout the season. Slice into a three-course Thanksgiving Feast including a Dessert Feast. Enjoy a four-course pre-fixe menu on Christmas Eve topped with a Seasonal Bouche de Noel. Savor Christmas Day Brunch, but leave room for Christmas Day Dinner. 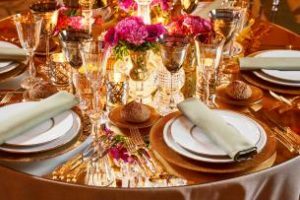 And usher out 2018 and welcome 2019 with two seatings for New Year’s Eve Dinner, with champagne, party favors, and lots of balloons at midnight. 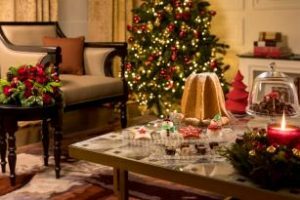 Festive dining, spa experiences as well as celebrations will be available on Christmas Eve, Christmas Day, Boxing Day, New Year’s Eve and New Year’s Day at all Dorchester Collection hotels, together with exclusive festive offers. Please visit https://www.dorchestercollection.com/en/festive-season/ for more information.